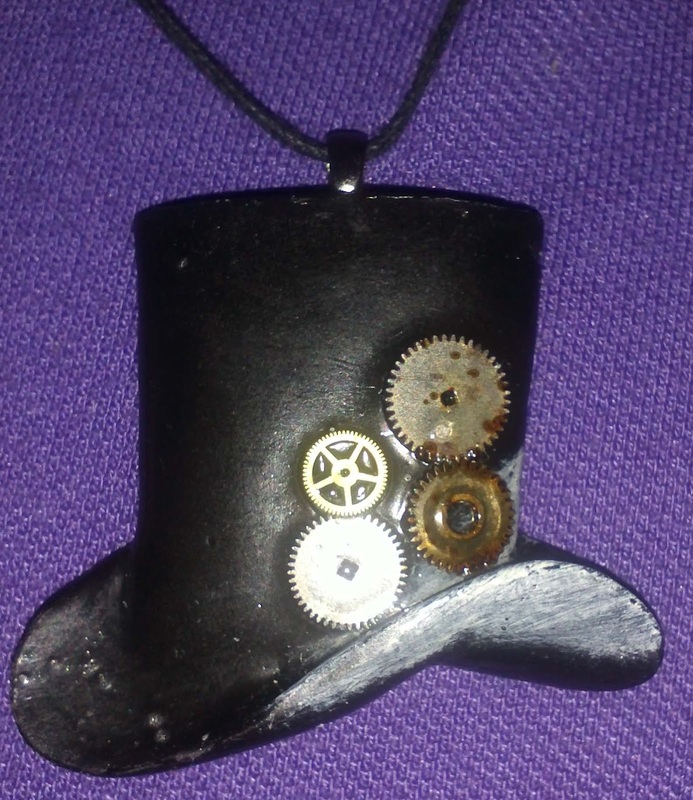 This is my little Steampunk top hat pendant. It's a Studio 490 top hat with tiny watch parts stuck on to it with matt accents. I then stuck a black metal bail onto the back and hung it on a black cord. The picture does make look cogs look quiet bright but in natural light they are a lot duller. I just love my little hat, it's so cute.